Blackwater Rollers thanks everyone who came out and helped out with our last home bout of the year, “Reaping the Harvest”. 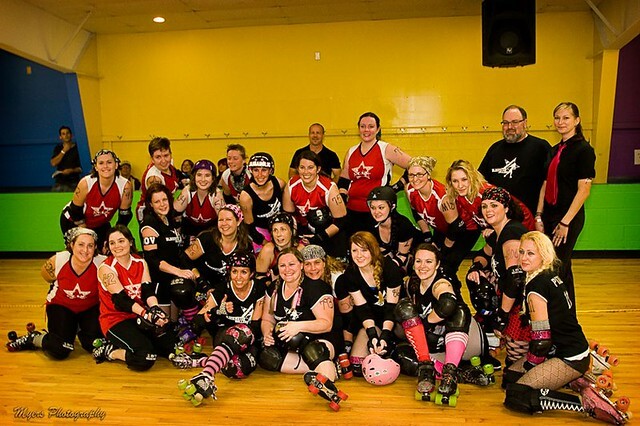 We were excited to play with our old rivals, Star City Roller Girls, and were proud of ourselves for finishing the game with a score of 177 vs. 216, especially since we skated with only 10 on the roster versus Star City’s lucky 13. MVP awards went to Hell-ga, who is retiring (but not for long, we hope!) and to Star City’s Darth Zombie. Congratulations to St. 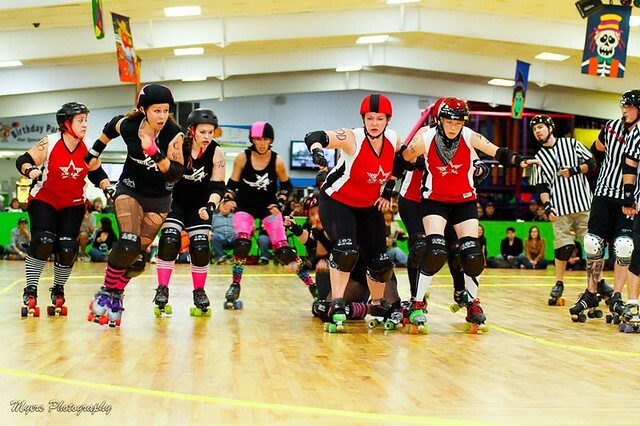 Elsewhere, Randi Riddle and Toxxic on playing their first bout ever! Although Lynchburg was fun, we are super glad to be back at our home rink, AJ Skateworld in Appomattox. AJ’s will be reopening to the public on January 4th, 2013. More hours, more days a week, more skating fun for everyone! We have a special surprise planned on Saturday, January 26th….stay tuned for more details. Recruitment is open now until January 18th! 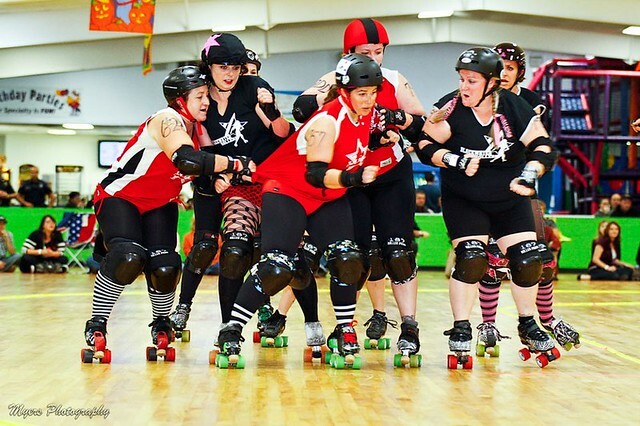 Blackwater Rollers is seeking men and women ages 18+. Come join a practice 6:15 pm – 8:30 pm. We will begin Sunday practices also, starting December 2nd. $5 per practice – wear workout clothing and bring water. Equipment provided, no experience needed. 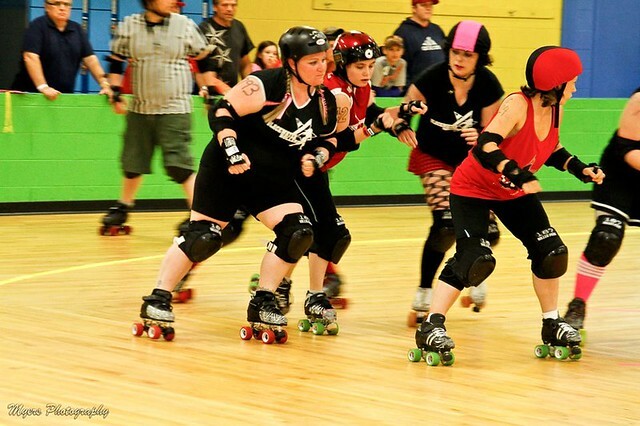 Derby is for people of all shapes and sizes, from all walks of life. Get or stay in shape, make new friends, but mostly, HAVE FUN!!! We look forward to seeing you on the track!